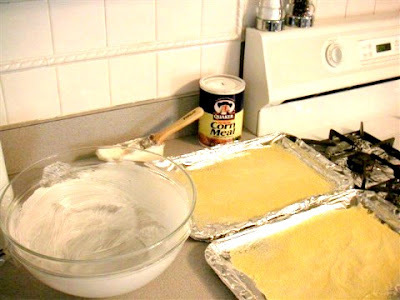 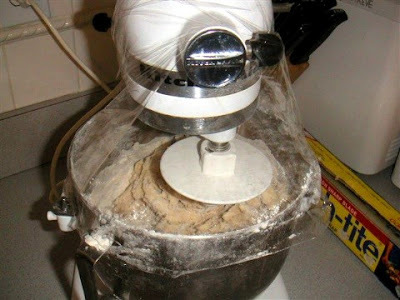 Remove the plastic wrap once the dough absorbs the flour, before it starts to become a cohesive ball. 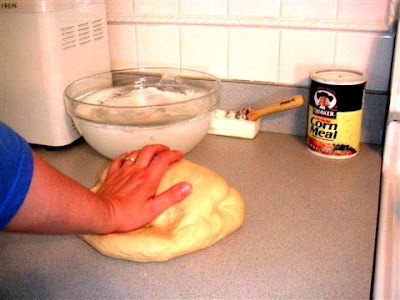 After it forms a dough, let it rest for about 10 minutes before kneading in earnest. 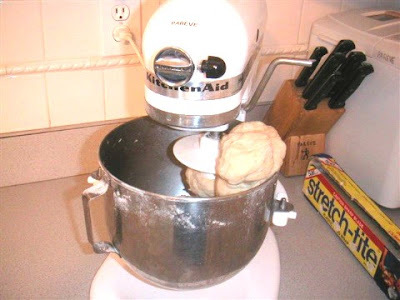 If it is the right consistency, you will see the dough ball clean the sides of the mixer bowl.